Poetry and imagination begin life. The progressive world is necessarily divided into two classes - those who take the best of what there is and enjoy it - those who wish for something better and try to create it. Give us back our suffering, we cry to Heaven in our hearts - suffering rather than indifferentism; for out of nothing comes nothing. But out of suffering may come the cure. Better have pain than paralysis! A hundred struggle and drown in the breakers. One discovers the new world. But rather, ten times rather, die in the surf, heralding the way to that new world, than stand idly on the shore! Everything is sketchy. The world does nothing but sketch. 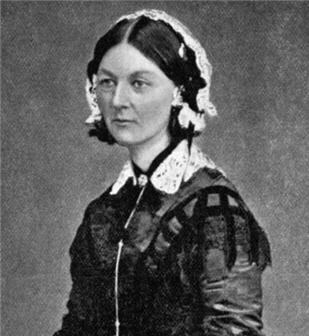 Florence Nightingale was an English nurse and writer. She is most commonly known as a nurse during the Crimean War (1853-1856) and as a writer.